Los Angeles Transit Lines (ex-Los Angeles Railway) W Line car no. 1557 passes through a curve in front of a massive tunnel opening. The W Line ran from mid-city to Highland Park. 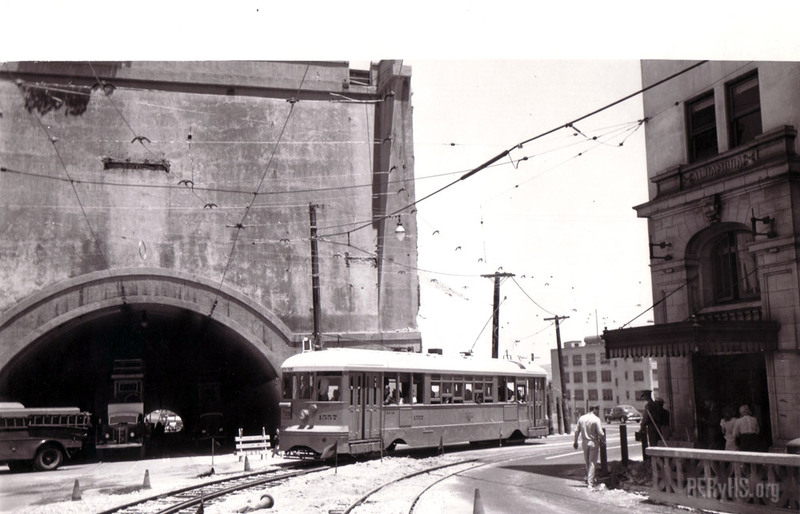 The Broadway Tunnel was being removed for the Hollywood Freeway.